Allie McDonough, senior and graphic design stands next to one of her pieces in the exhibit. The two plywood sculptures where distanced by a few feet, each mounted on a white platform. A large boom box rested on one, its vibrant baby blue exterior naturally blended with the light pink and yellow buttons that adorned it. From afar the bright colors and smooth cutting gives the wooden sculpture a clean plastic appearance. On the opposite pillar, a dark wooden replica of a man’s face is sliced into layers horizontally. The levels of the face shift backwards, as if forced away by the sound waves of the boom box. The creator of this piece, Brendan Galvin, senior, has it on display for the “Art Crawl Earl Hall.” The exhibition features visual work from undergraduate students in the art department, in addition to faculty contributions. “Art Crawl Earl Hall” showcases a variety of pieces ranging from graphic design, photography (digital and film), sculpture and painting from both beginner and advanced classes. 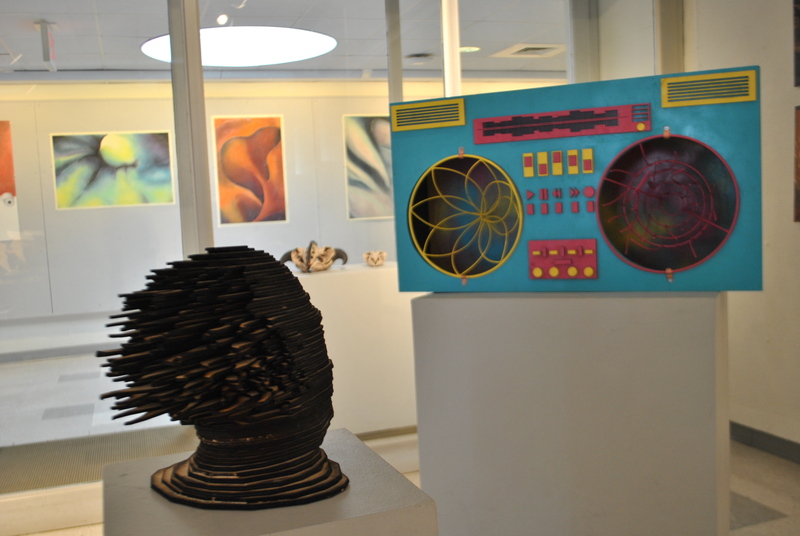 Art student’s works are displayed in the hallways of Earl, providing a unique collaboration of artistic vision and process. “I have a boom box here with a figure and it’s supposed to be about the reaction of music and the soul, so this is my interpretation of when I hear music,” said Galvin. Galvin drew inspiration for the sculpture from his work in a bakery, where a machine evenly sliced pieces of bread. He connected this process to the idea of what a head would look like if it went through an even cutter. 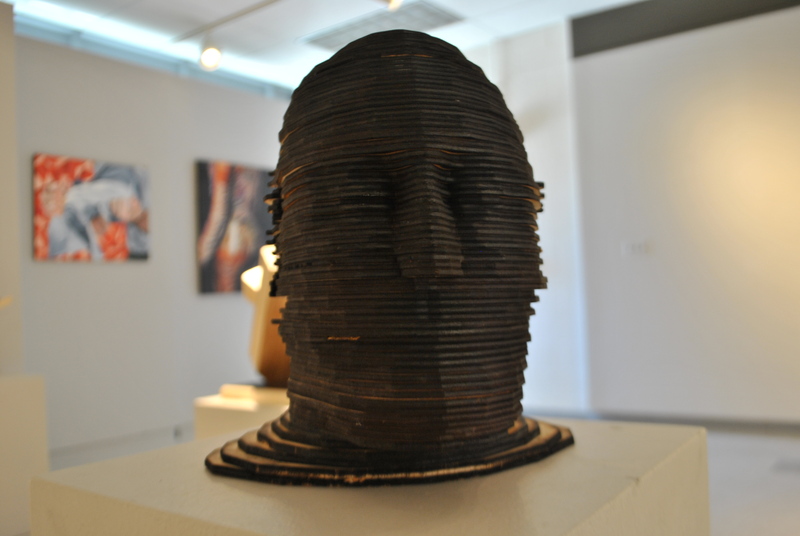 Using a laser printer, Galvin printed 42 layers for the sculpture and assembled the plywood together. Across from Galvin’s piece, Paige Onofreo, senior and photography, digital photography piece is displayed for her undergraduate research presentation. 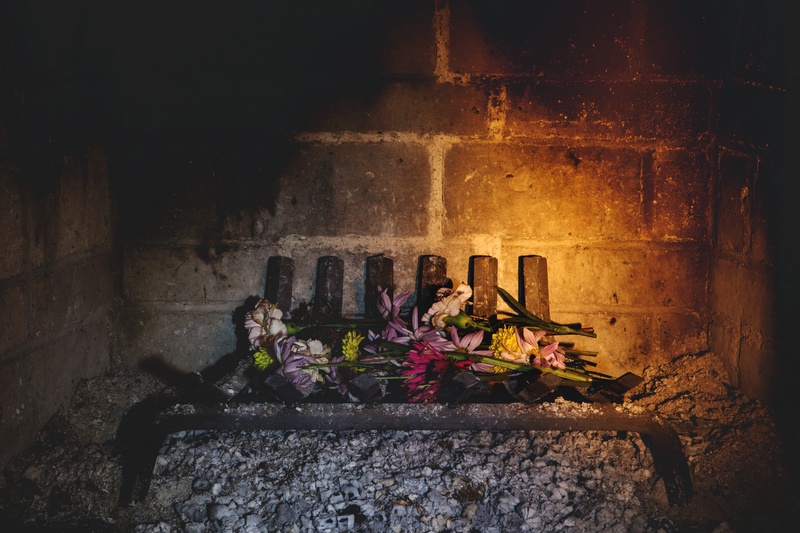 In the center of two other senior’s photographs, Onofreo’s work features an assortment of flowers resting in a fireplace. The red and purple flowers are washed out amongst the leftovers of ash and charcoal. Darkness creeps along the corners of the photograph, with the light source centered on the wilting flowers. Other works include a painting of a young boy biting into a fruit, extensive detail is put into the texture of the skin and the loose hanging clothing. The rust background contrasts with the lightening like veins that run through the face. Nearby, displayed in glass, another student’s work features a sculpted bear becoming deathly ill over “FDA Approved” honey. In addition to chance of students to walk in Earl and see the works, the exhibition gives art students a chance to look at art styles they haven’t been able to work with yet.